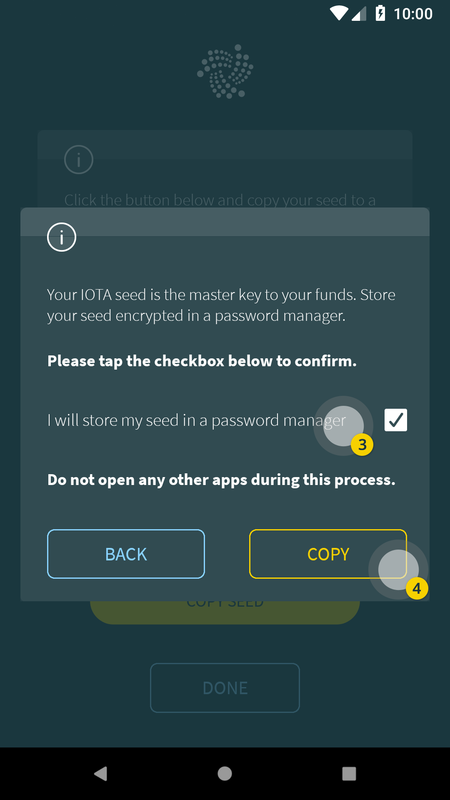 For security reasons, we don’t allow your IOTA seeds to be saved into the device clipboard on Android. 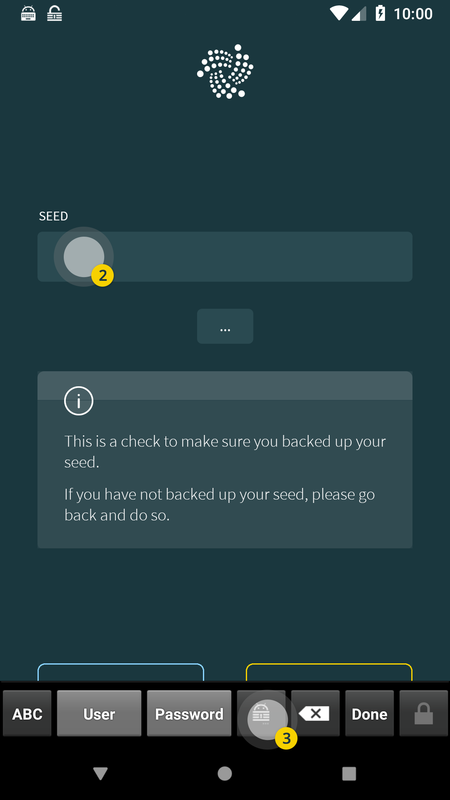 So, to use password managers with Trinity to easily manage your seeds we have come up with a custom-built function that allows your seed to be safely transferred from the wallet to the password manager, and vice-versa. Unfortunately, Keepass2Android is the only supported password manager for the time being. 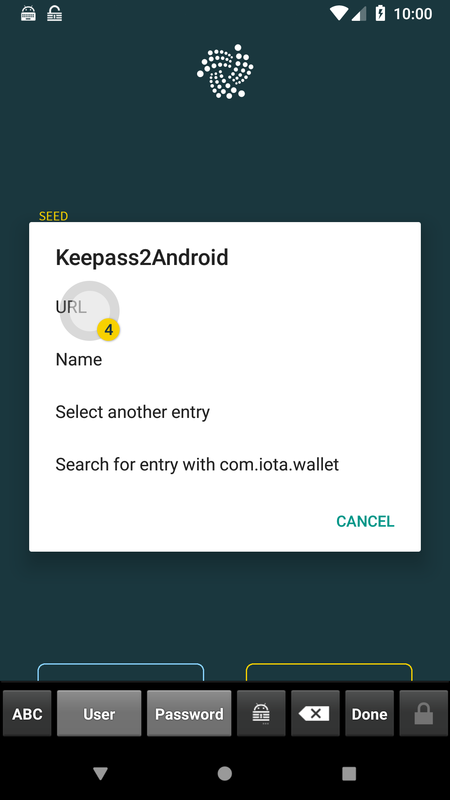 This manual will guide you through on how to use Trinity Wallet with Keepass2Android easily and safely. 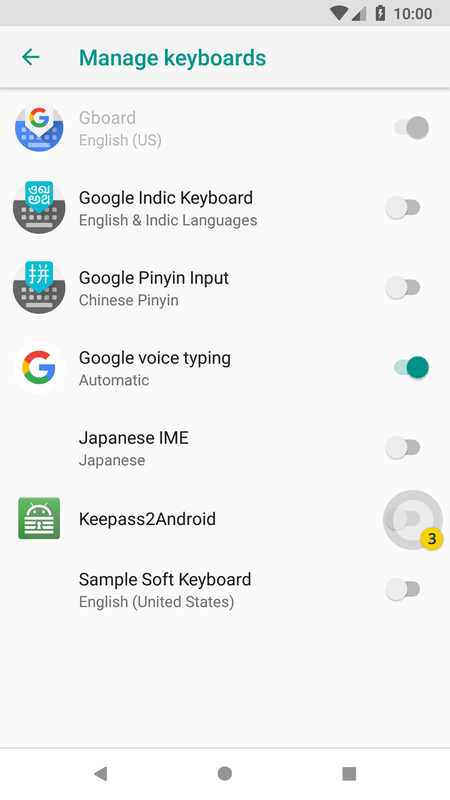 If you haven’t already, install Keepass2Android. You can get it on Google Play Store. After downloading the app, you will need to create a Keepass database. 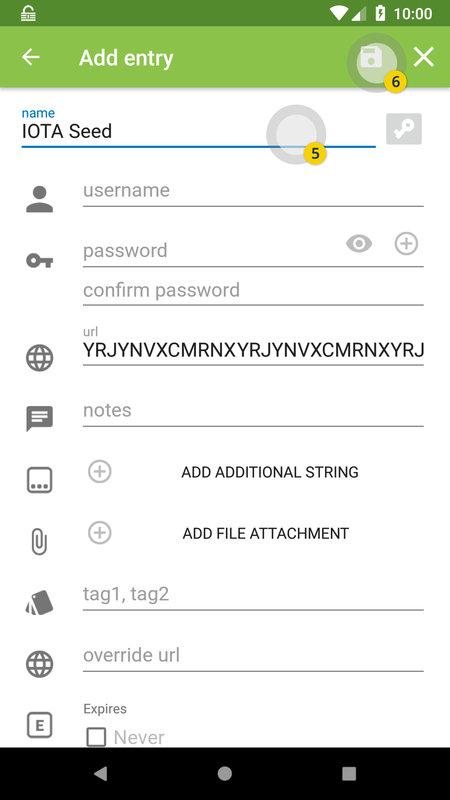 You can read more about Keepass2Android, including how to make a new database, on here. On the seed backup screen, press “Add to password manager” option. 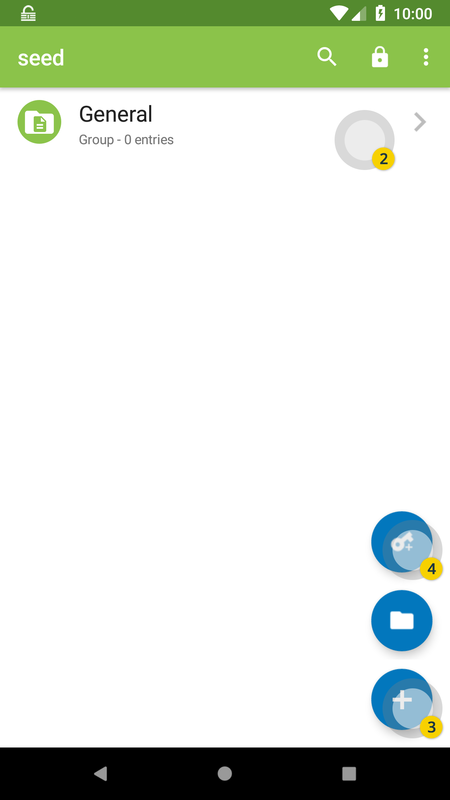 When you press “Copy seed” button, the app will ask for your confirmation. When you are greeted with the same screen as the screenshot below, press “Create entry for URL” on the bottom right. Choose in which group you want to seed your seed, and press the “Add entry” button as shown below. Enter a name to distinguish your seed, and press the save button on top right. Congratulations! 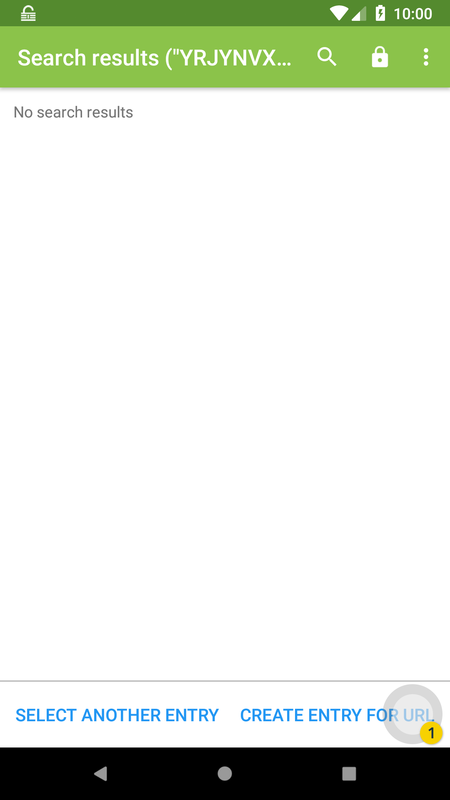 You have successfully, and safely exported your seed from Trinity to Keepass2Android. 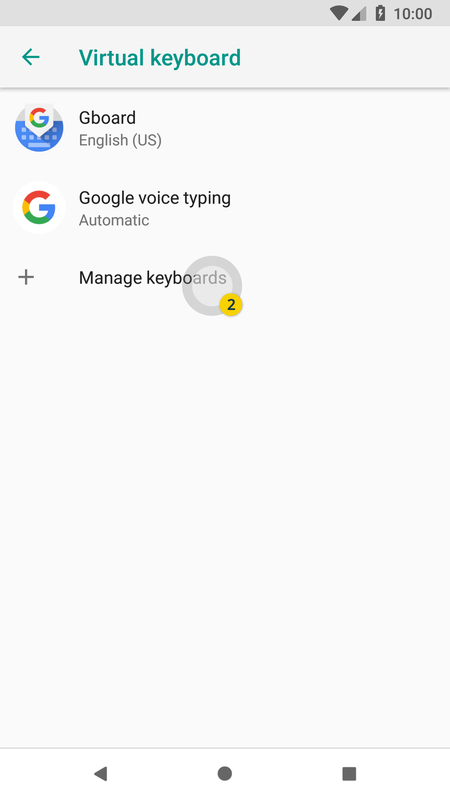 You can do it in your devices’ keyboard settings. We will be using the base Android Oreo as an example, but the process may differ slightly depending on what device you use. 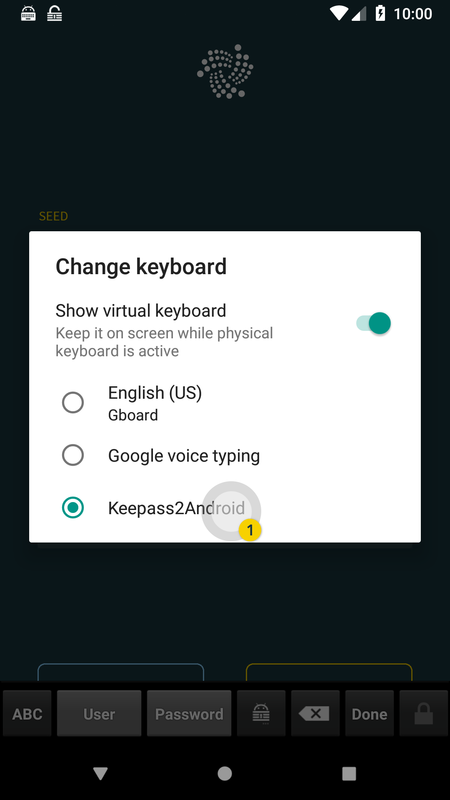 On the text input field you want to enter the seed in, change the keyboard to Keepass2Android keyboard you enabled in the step 1. 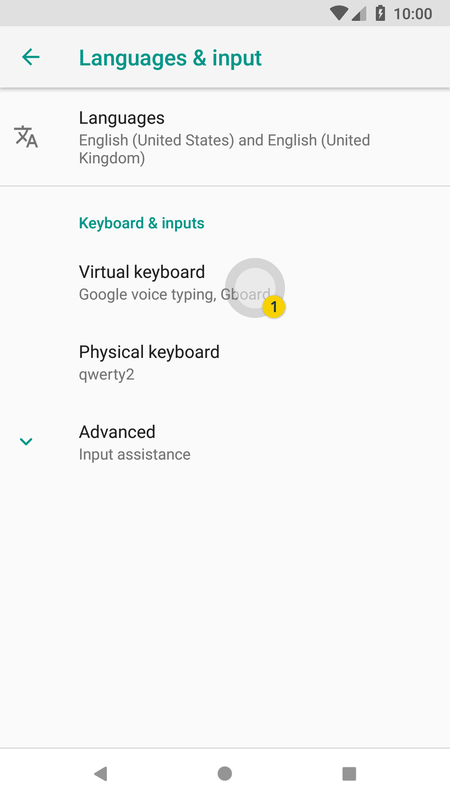 When you are done press the input field, and press the Keepass2Android button on the bottom middle. 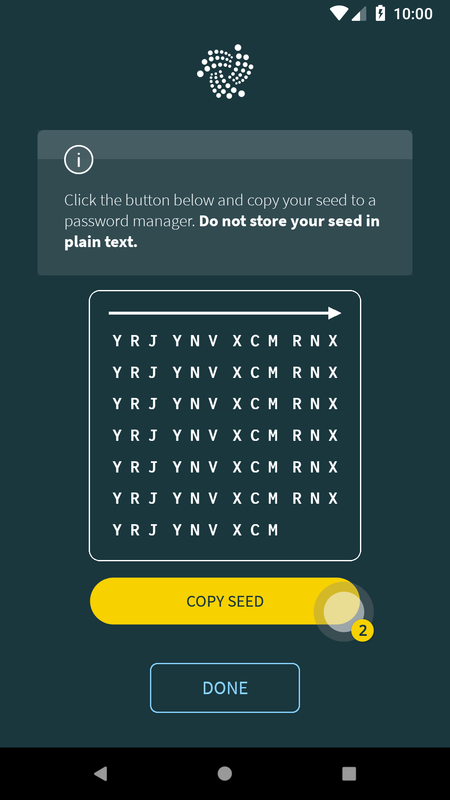 From here, you can press “URL” to enter the seed, or choose another seed entry by pressing “Select another entry”. Congratulations! You have successfully, and safely entered your seed from Keepass2Android.